Here for You. Here for Alaska. Here at Alaska Pediatric Surgery, our goal is to keep children happy and healthy. That’s exactly what our job is here at our Anchorage pediatric surgical clinic. But it is a big world out there, and there are still plenty of children that need help. 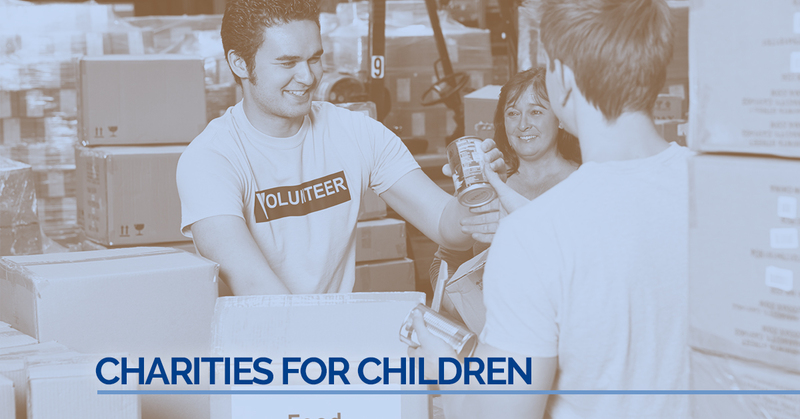 If you are interested, donating your time or money to a children’s charity can make a big difference in people’s lives. If you are looking for a charity to give to, here is a list of options for you to look in to. This is a non-profit whose purpose is to find homes for children in America and has since expanded its reach to Africa, as well as 130 other countries. It currently helps to provide homes to about 52,000 orphans worldwide. SOS builds houses in little “village” neighborhoods to promote a sense of community and help residents feel at home. Visit their website here. The history of this charity is that Gene Lang, a local Harlem businessman, vowed to a sixth-grade class from the school he had graduated from to pay for their college if they finished high school. 90 percent of them graduated, and Mr. Lang paved the way for 60 percent of them to go to college. Since then, the program has been copied in 64 different cities across the United States. Some studies have consistently shown that kids enrolled in this program have fewer run-ins with the law and are more likely to graduate and attend a four-year university. Check out their site here. We live in a big world, and there are constantly global crises going on; for instance, some 50,000 children have to live in poverty or survive on the streets in Kosovo. And that’s just a drop in the bucket globally. Doctors of the World provide absolutely vital medical assistance to some 20+ poverty-stricken countries around the world. They provide medication that fights the spread of epidemics, offer prenatal services for women, and even help to fight for children’s rights. You can learn more about them at their website here. This organization helps students lagging in academic studies improve their chances for higher education. Most of the students helped by the program are underprivileged, and many enter the program as early as the fourth grade. Teachers and tutors with special training help instill good study, organizational, and critical thinking skills at a critical time of development in these kids lives. They have a stunning success rate claim, with 95 percent of AVID students who complete the program going on to college, with an 85 percent retention rate after two years. This is the oldest youth mentoring program in the entire United States and is now also the largest as well. They work with children in a one on one environment, making sure they build good habits that will prepare them for the challenges of adulthood. Many children in the organization lack a positive role model in their lives, and so a direct relationship with the sponsors at BBBSA provides genuine direction in their lives. You can visit their site and learn more about them here. This is one of the newer charities on this list, although it has been active since 1998. Living with a disability is challenging enough on its own, so imagine what it must be like to grow up with one. CDK sponsors the training of assistance dogs and matches them with children who need them to both improve their quality of life and to provide companionship. You can learn more about this organization by visiting their site here. Anyone of these charities can put your donation to good use, but there is a lot to be done in the world and no shortage of ways to do it. This list is by no means comprehensive, and there are plenty of organizations out there doing good in the world. ©2017 Alaska Pediatric Surgery LLC- Do not copy. All rights reserved.